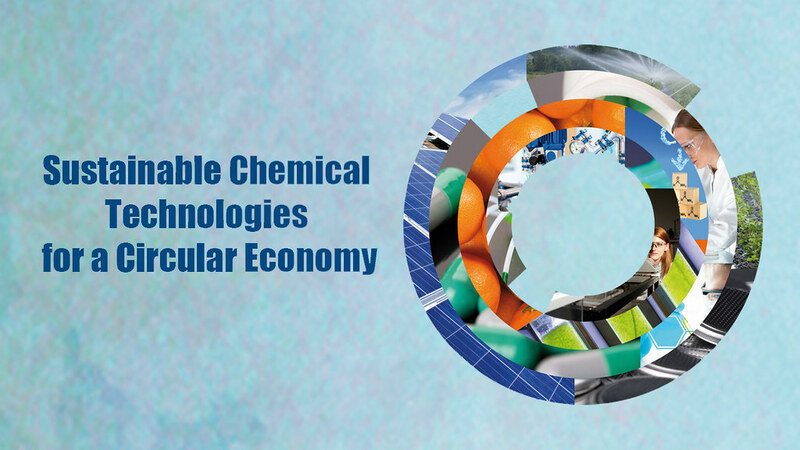 This year, our unique, multidisciplinary conference focuses on the theme of Sustainable Chemical Technologies for a Circular Economy. This year's showcase focuses on the theme of Sustainable Chemical Technologies for a Circular Economy. Take part in this annual conference organised by the students of EPSRC Centre for Doctoral Training (CDT) in Sustainable Chemical Technologies to hear about the latest research in this field, present your work, share ideas and collaborate with key experts in academia and industry. The conference will bring together leading academics, our international and industrial partners and our PhD students. This is a valuable opportunity for anyone interested in learning about the latest developments in the field of sustainable chemical technologies. The programme is formatted around our four research themes and will included talks, panel discussions, ignite talks and flash presentations. The talks will be based on a wide spectrum of topics, all addressing today’s challenges in the field of sustainable chemical technologies. This has been a wonderful opportunity to meet people from all over the world and to learn more about the research in the UK. - Joachim Loo, Nanyang Technological University. I’m inspired by the progress that the centre has made. As we have a similar initiative back in Australia, it has been great to see that we have so much in common and that we can learn both ways. - Bart Follink, Monash University. I’ve really enjoyed networking with the next generation of scientists. It’s great to see the centre’s passion for the environment. - Catherine Alder, GSK. Find information about getting to the city of Bath and the University campus. The University is easily reached by public transport or taxi from the train station, but parking is available on campus. To request your parking permit, please email csct@bath.ac.uk with “Summer Showcase — parking permit” in the subject line by Monday, 3 July 2017. The East Car Park is closest to the venue. Alternatively, delegates can use the pay and display units in the East Car Park at a cost of £1 per hour. Parking is administered by an external company, that applies the rules very strictly, so please only park in allowed areas, with appropriate permits. Delegates should book their own accommodation as required. No accommodation has been arranged or block booked (except for speakers and some international visitors). Find accommodation on campus or visit the Bath tourism website for a range of hotels in Bath city centre. Bath city centre is compact and most hotels will be within easy walking distance of suitable restaurants or other amenities.